Playing in it. Lying on it. Even mowing it. Grass smells wonderful. 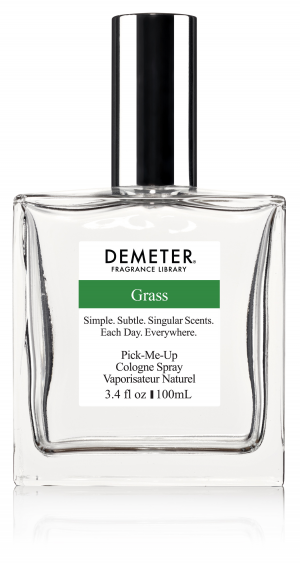 In Demeter's Grass Pick-Me-Up Cologne, we have captured the freshness and sweetness of a freshly mowed lawn. 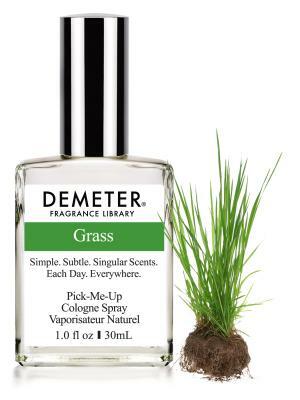 One of our three original fragrance, along with Dirt and Tomato. How could I answer the child? I do not know any more than he.